Costa Rica Fishing is among the best in the world. 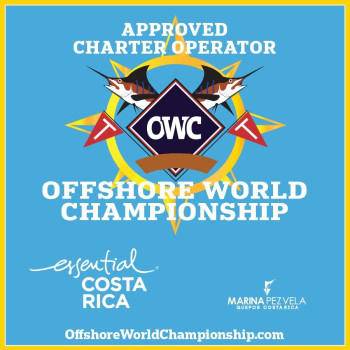 The Central Pacific region offers the best inshore and offshore fishing throughout the year. The area is well protected from the prevailing northerly winds and enjoys pretty close to ideal weather although you can expect some warm rain-showers any time from May through November, especially in the afternoons. 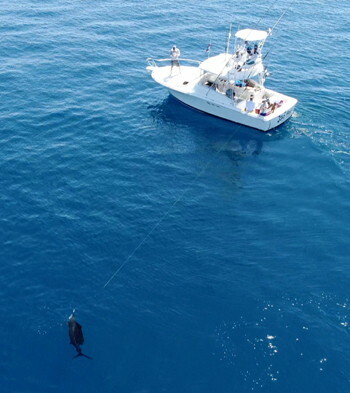 Billfish are the favored target of most visiting anglers, and they are seldom disappointed with a short run to blue water on flat seas and an abundance of fish. Pelagic Pursuits Costa Ricaaimto provide you with the best blue water fishing and adventure vacations available on the Central Pacific Coast, our location in the beautiful Los Sueños Resort and Marina puts us right in the middle of some of the hottest Marlin and Sailfish fishing action anywhere. 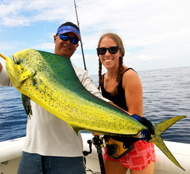 Mahi Mahi, Yellowfin Tuna, and Wahoo are also available. 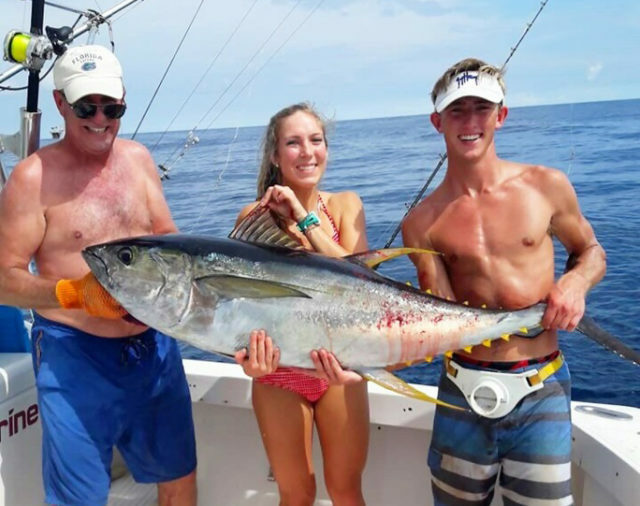 The inshore fishing is nothing to pass on either with excellent fishing for Rooster fish, Cubera, Jacks, Grouper, and more. We have a wide variety of sport fishing options to suit any angling style and budget,combined with a variety of comfortable accommodations, stunning locations, outstanding service and great value for money. 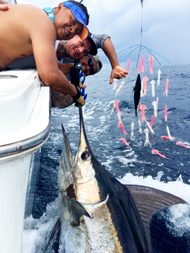 For Central Pacific, Costa Rica customized fishing packages including accommodations, transfers and adventure tours call or e-mail us for specials and more information. "Even better fishing our second visit!" My buddies and I went on our second annual fishing trip on the Go Fish out of Los Sueños. We fished for 3 days and landed 27 really nice Sails and a nice Tuna that we brought back to the Las Brisas villa and put on the bar-b. The boat and mates were top notch. The boat was always stocked with plenty of food and drink. We will be back next year for our third annual trip. We cant wait!!! John M., Massapequa, New York. ...and sign up for our newsletters! We also operate full or half day boat/snorkel trips and evening sunset cruises. Take an exhilarating trip along the beautiful Gulf of Nicoya coast line. Visit Isla Tortuga or just take in the views of the beautiful beaches and other exotic islands. Your boat ride is both exhilarating and safe, we snorkel at least 2 different sites. There is also an opportunity to spot pods of dolphins, turtles, whales, manta rays, and flocks of sea birds.